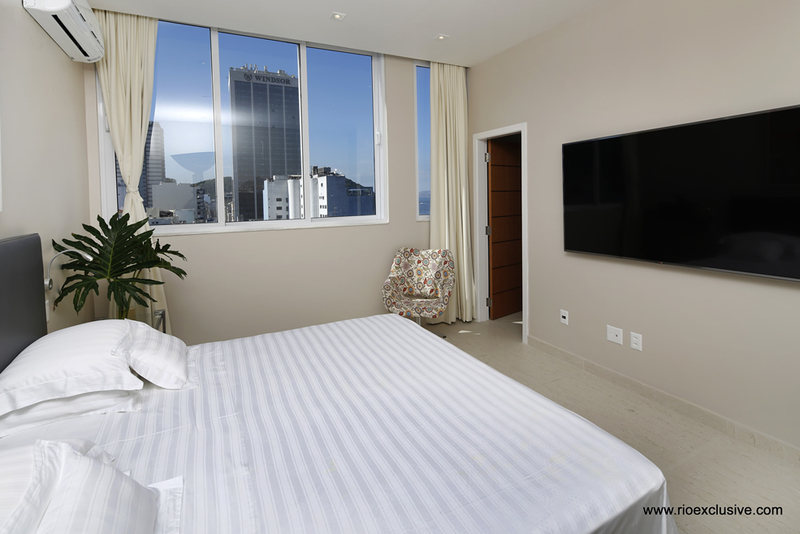 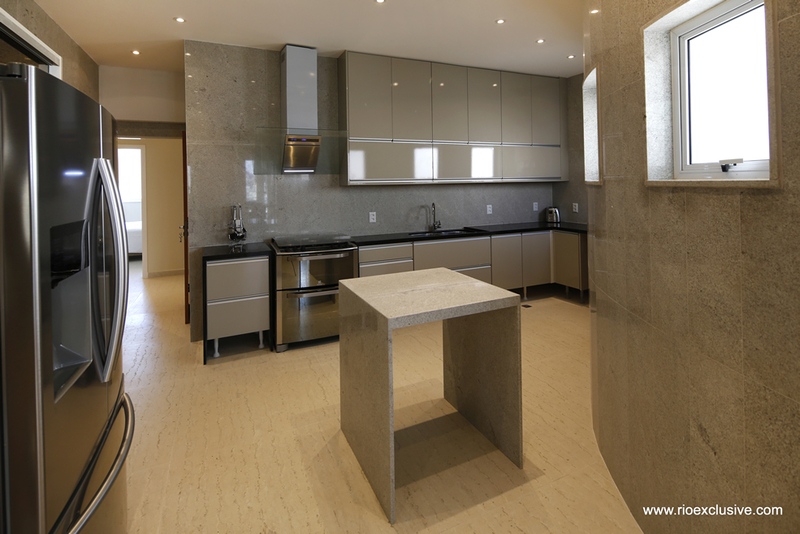 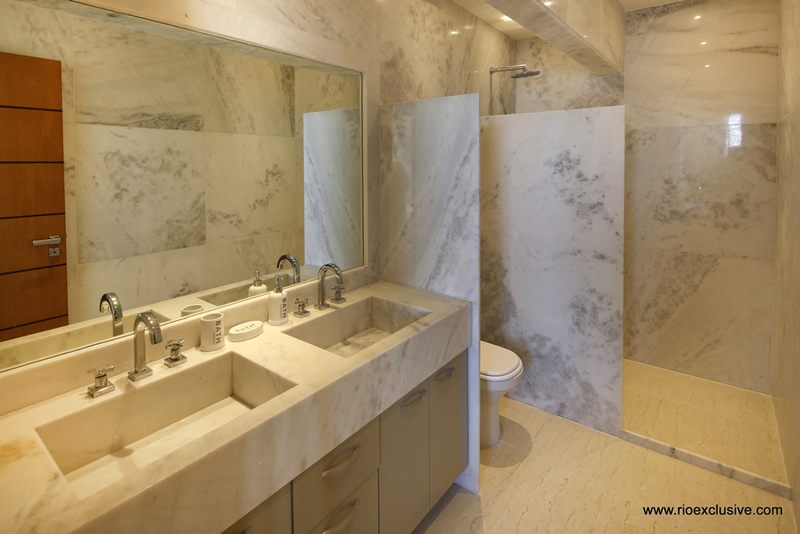 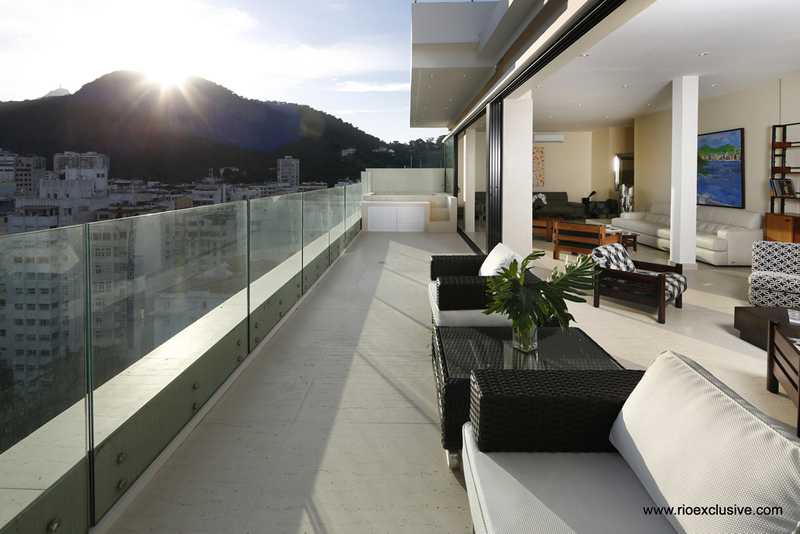 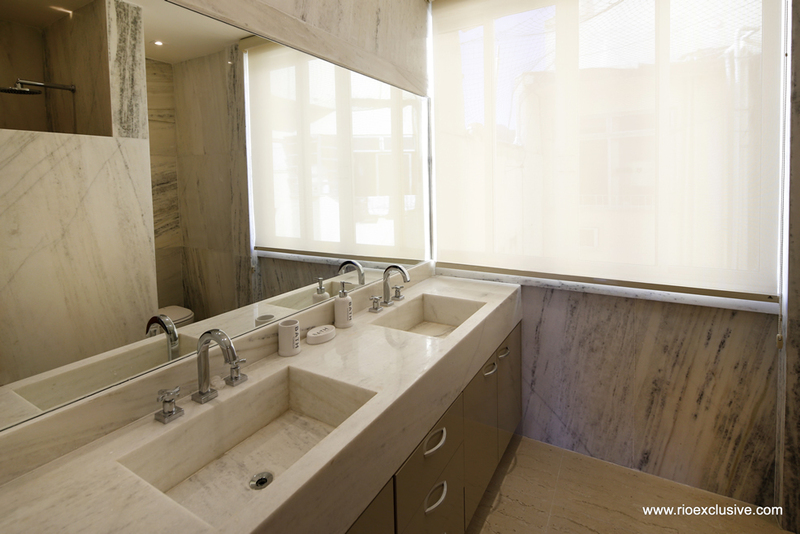 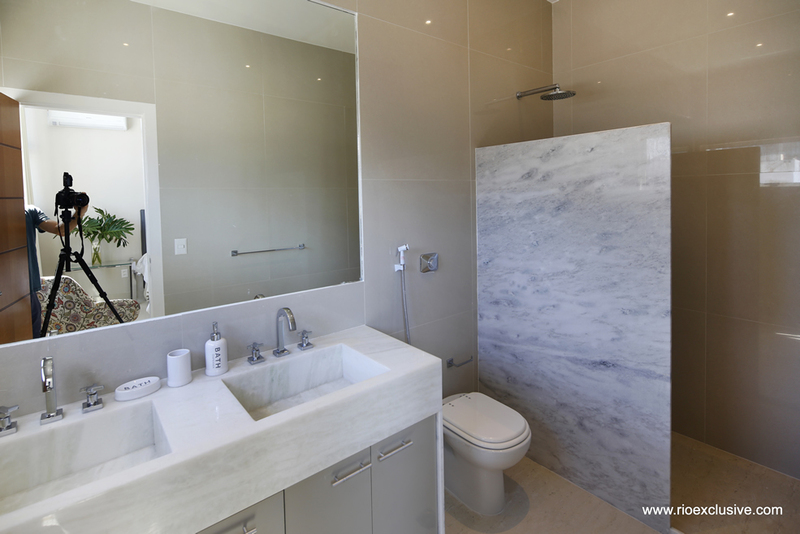 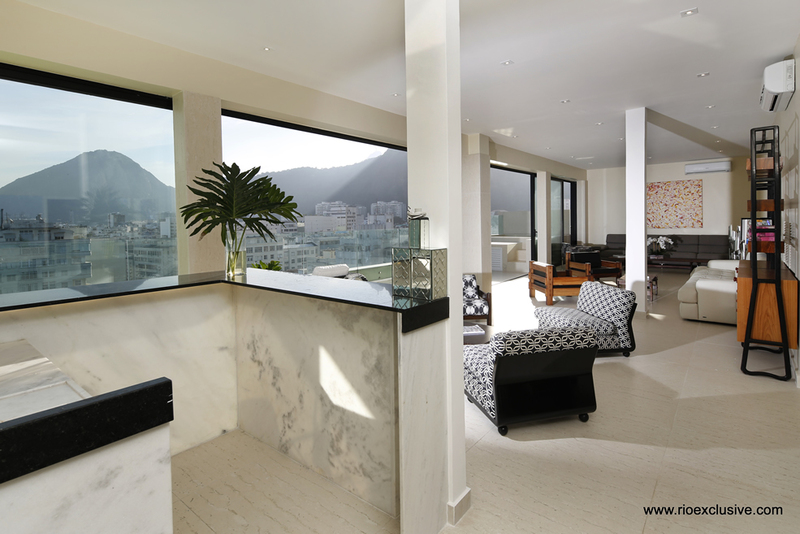 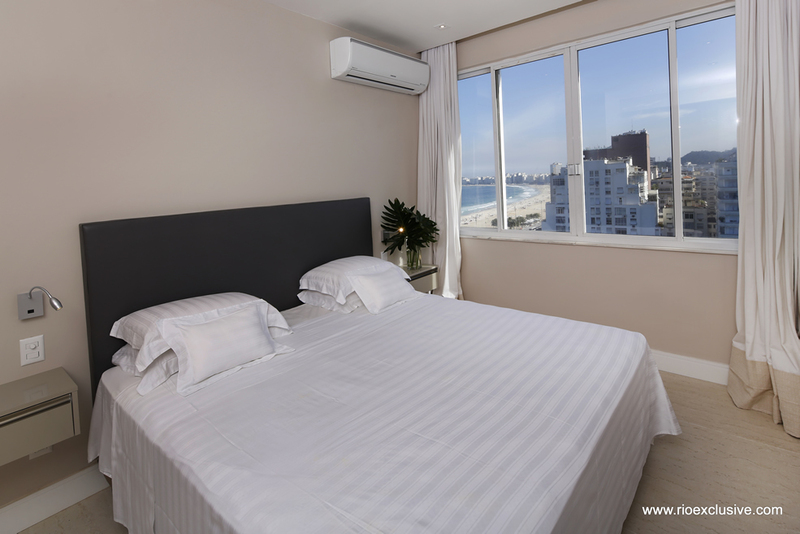 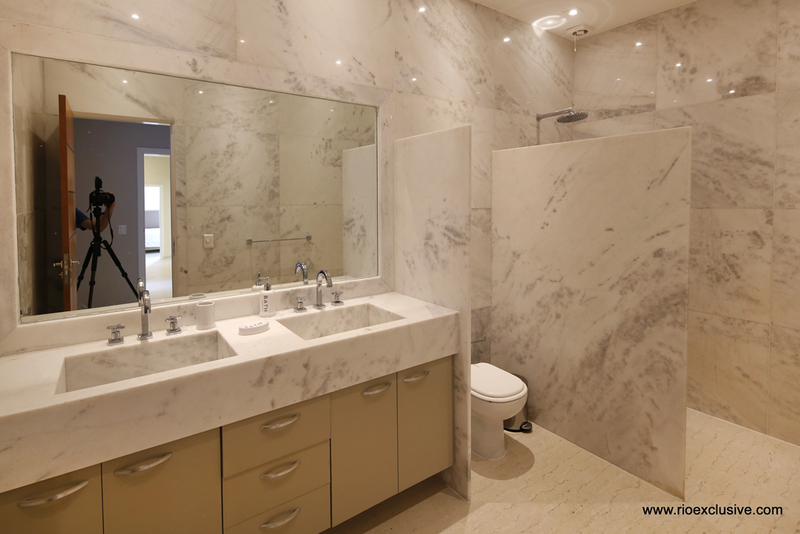 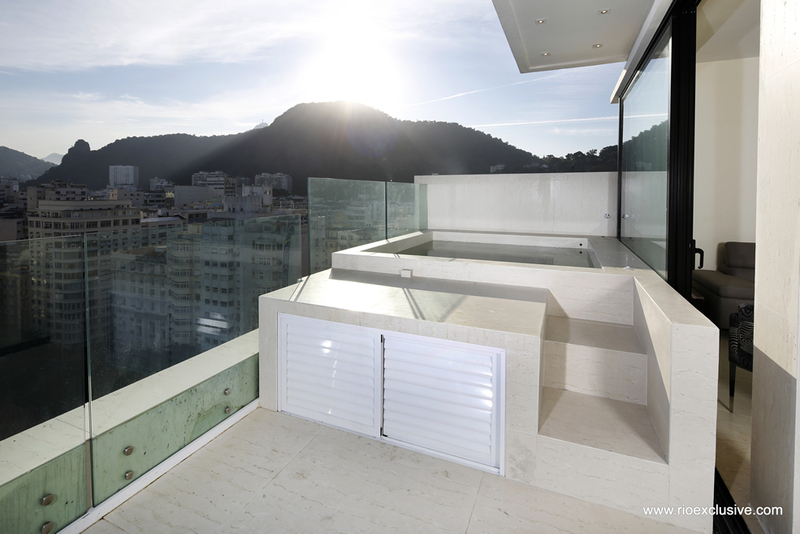 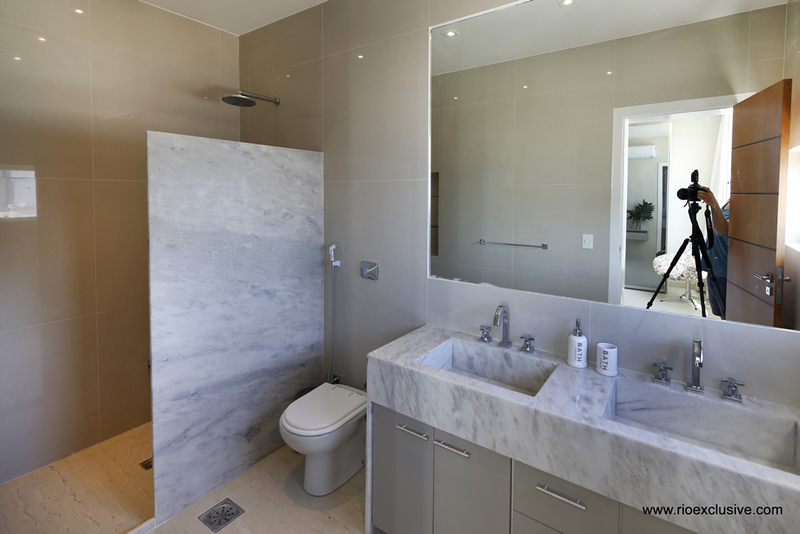 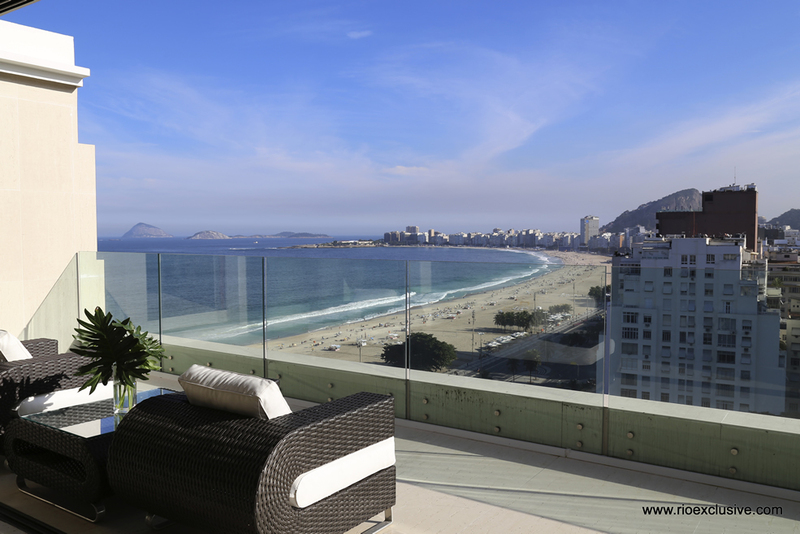 This beautiful penthouse is located on the very sought Praça do Lido, in Copacabana and comprises everything you could possibly dream of. 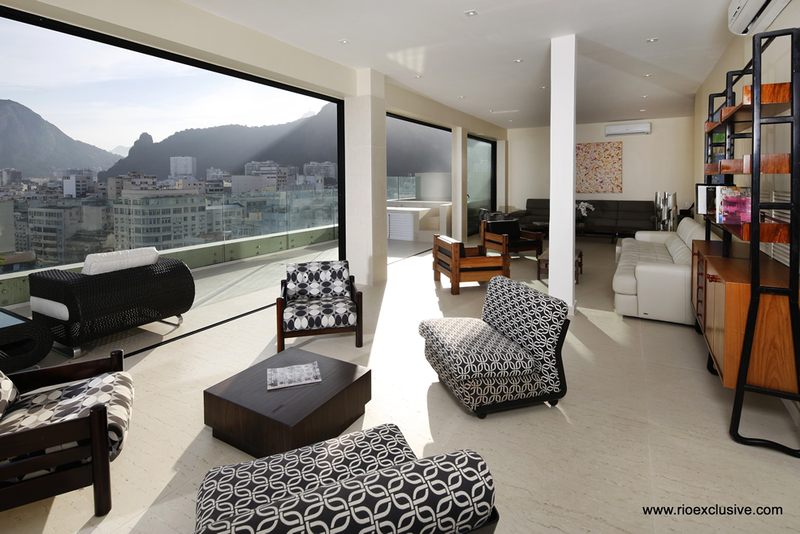 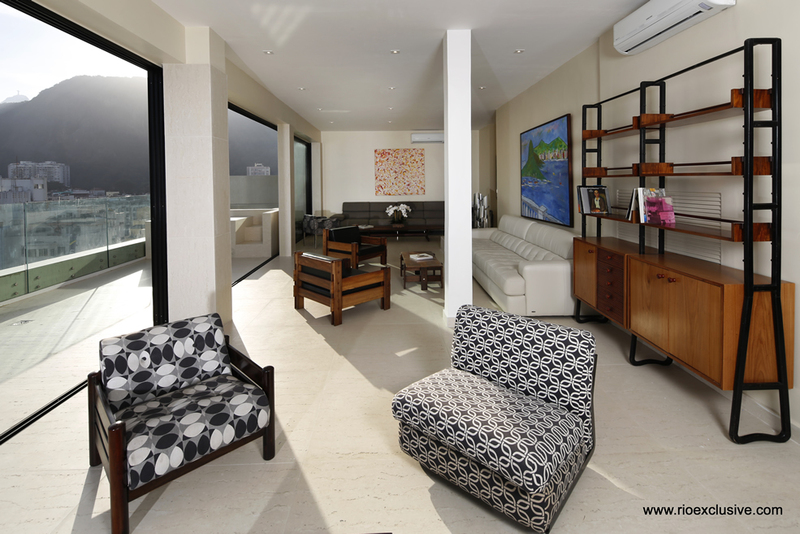 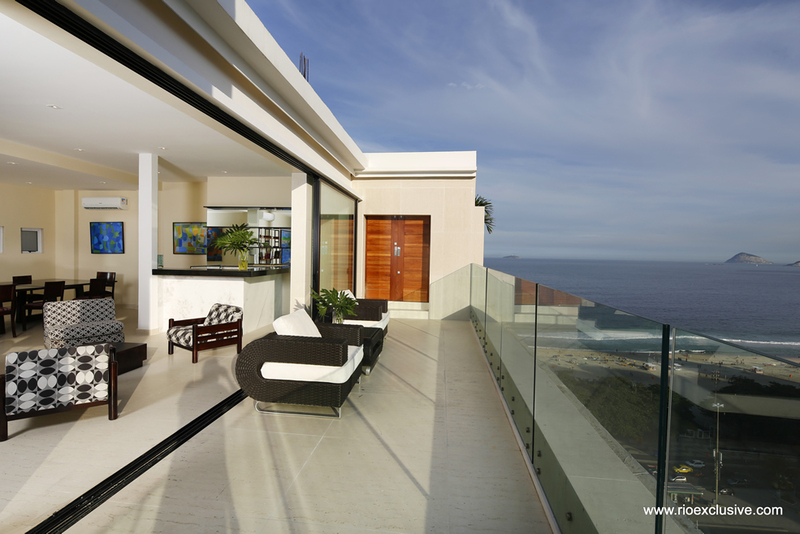 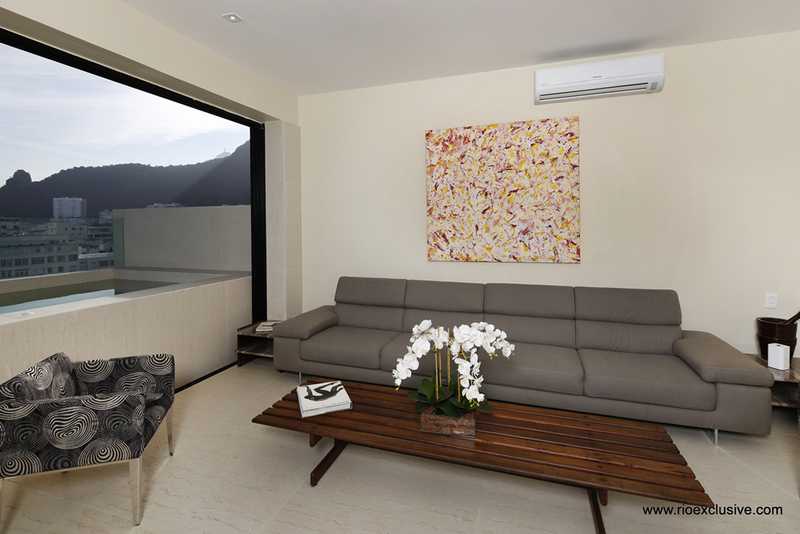 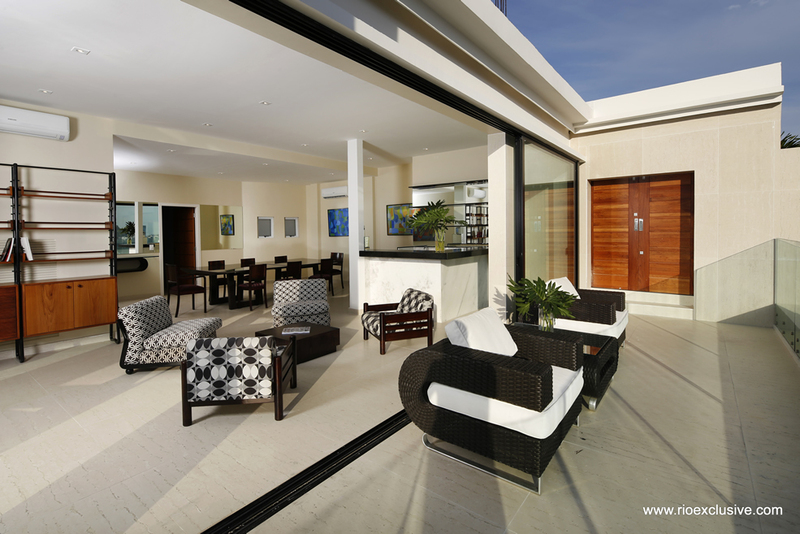 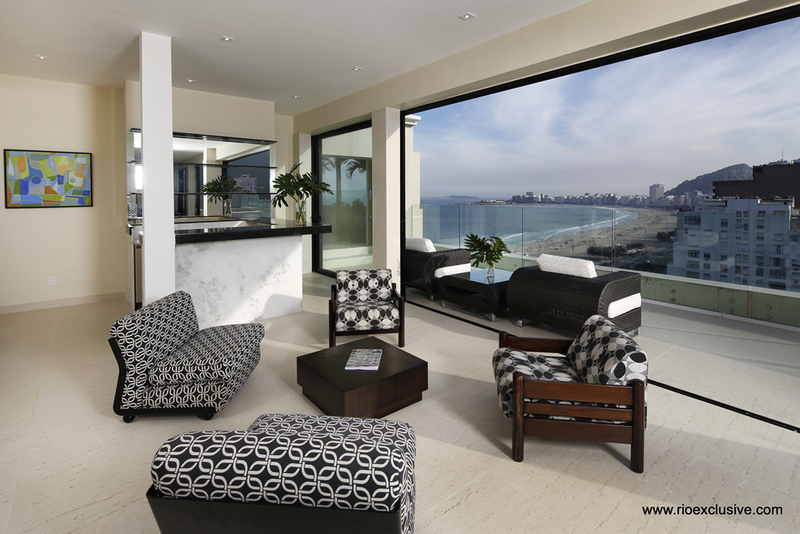 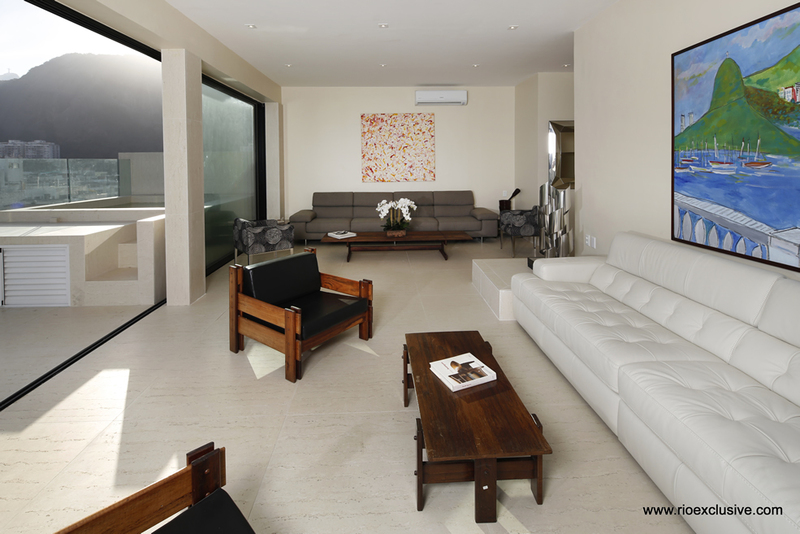 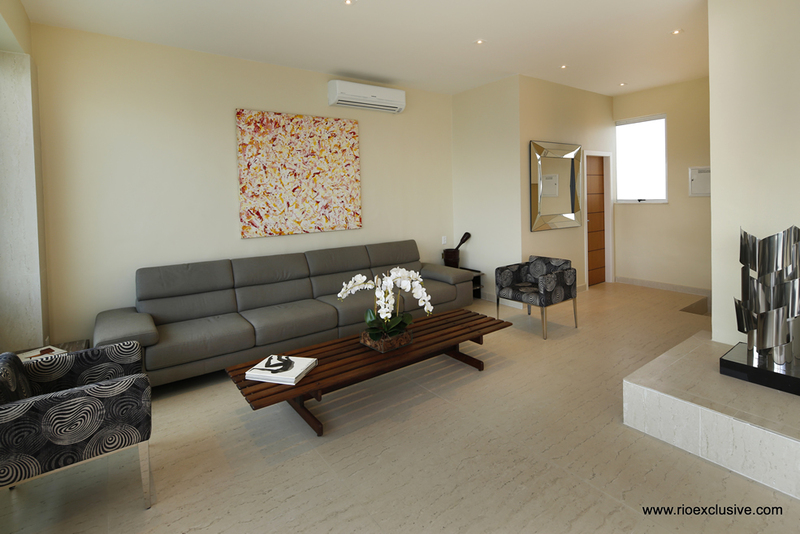 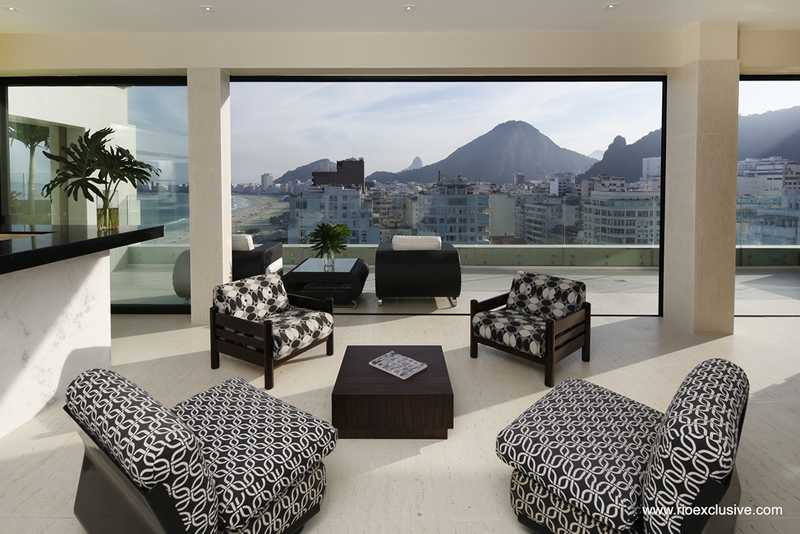 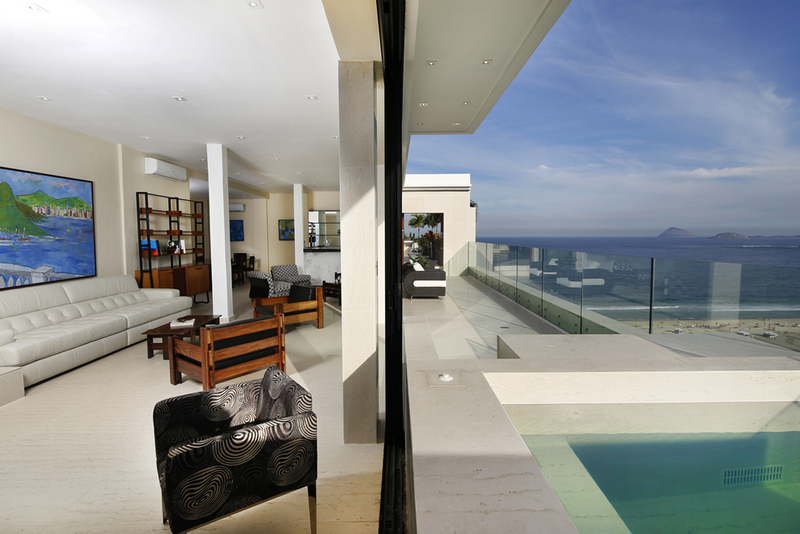 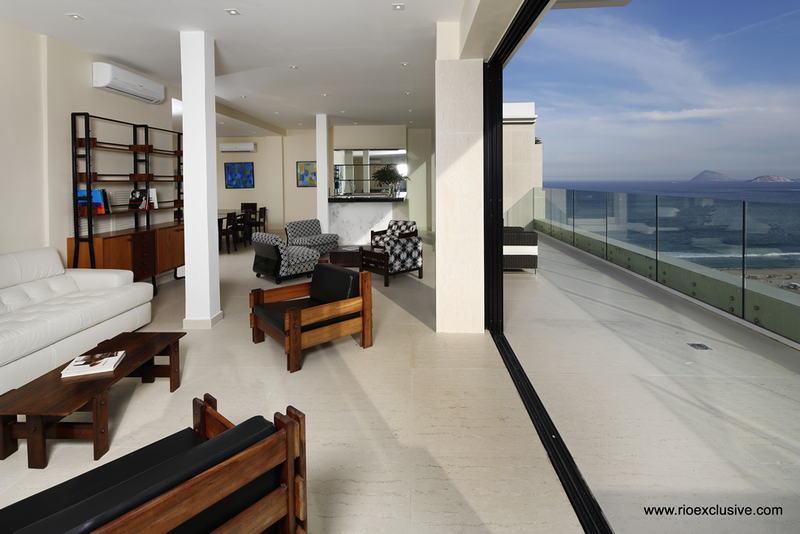 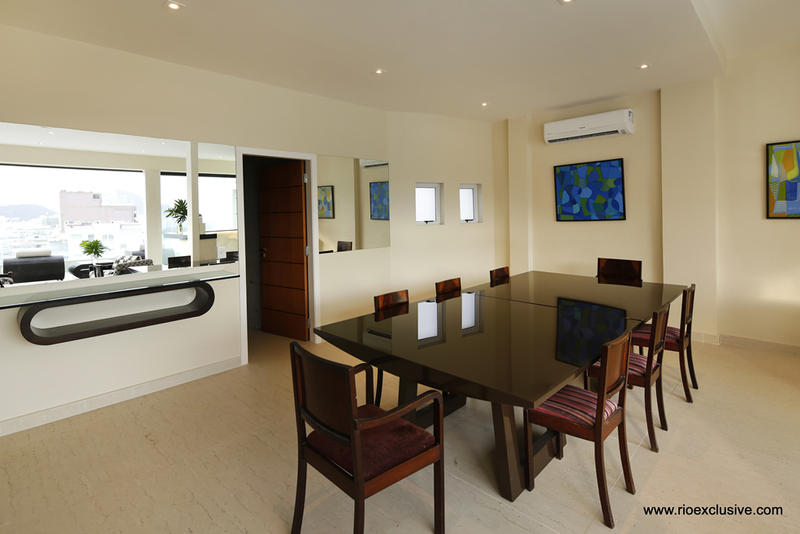 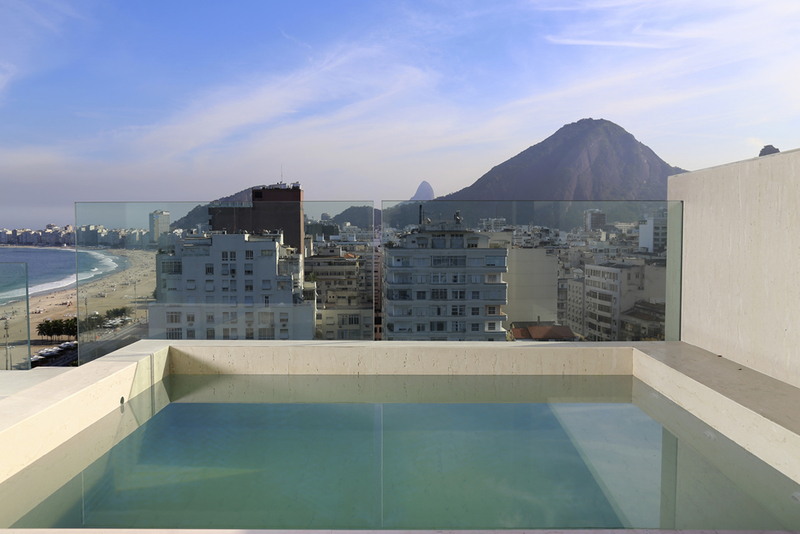 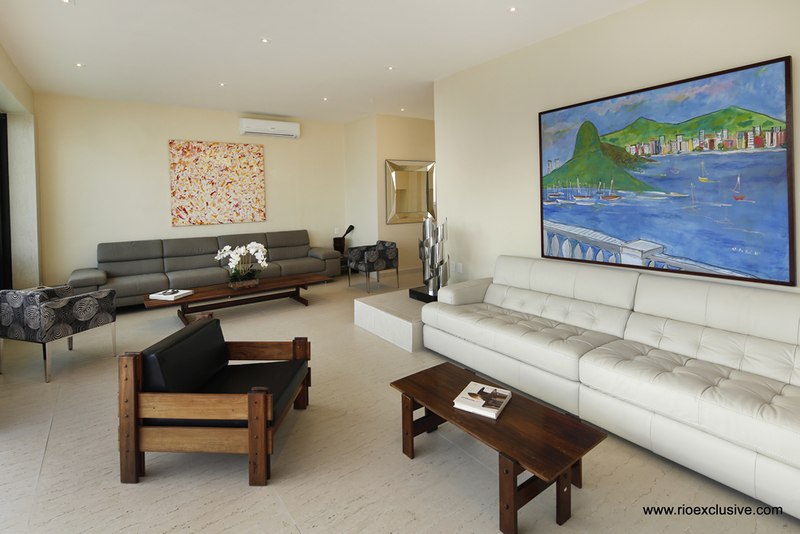 Not only counts with 6 spacious suites, but also has an enormous living room orientated towards Rio's most famous beach. 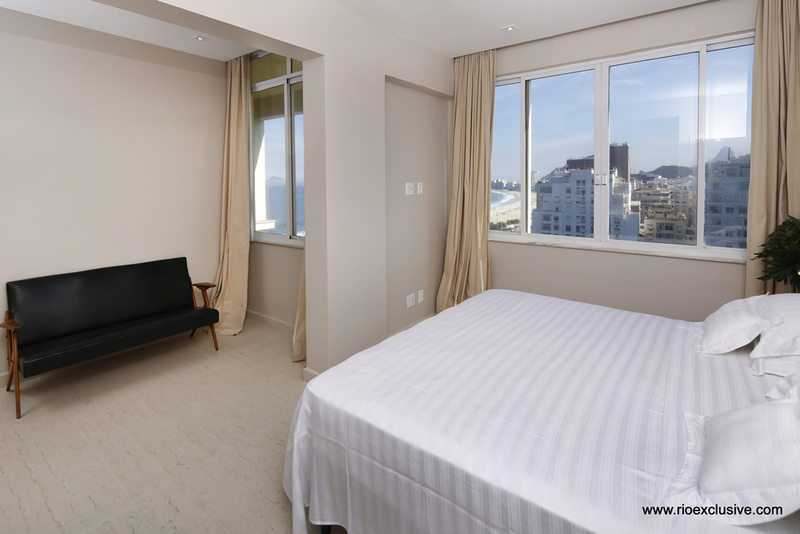 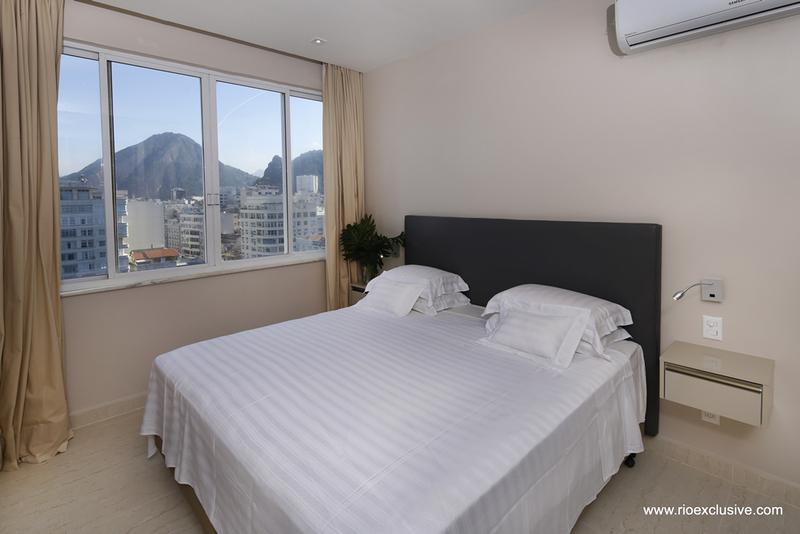 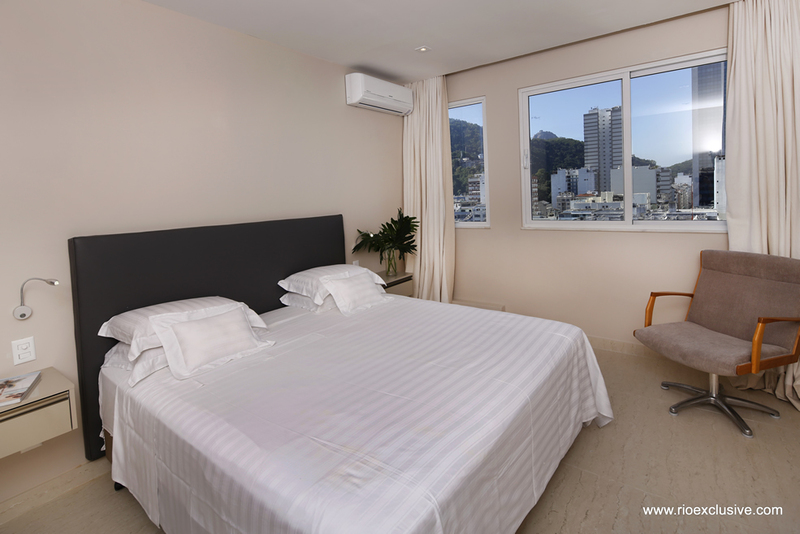 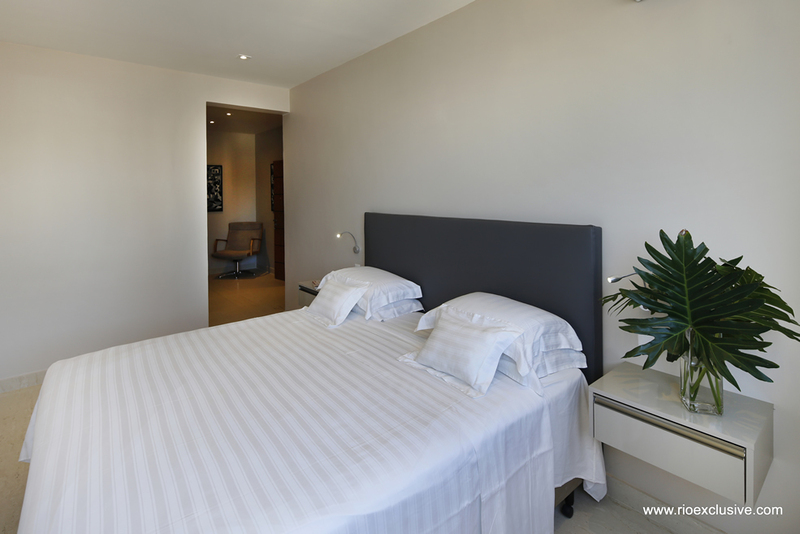 The entrance is located on the lower floor where you will find the first suite, with beautiful views of the sea and the Christ Redeemer. 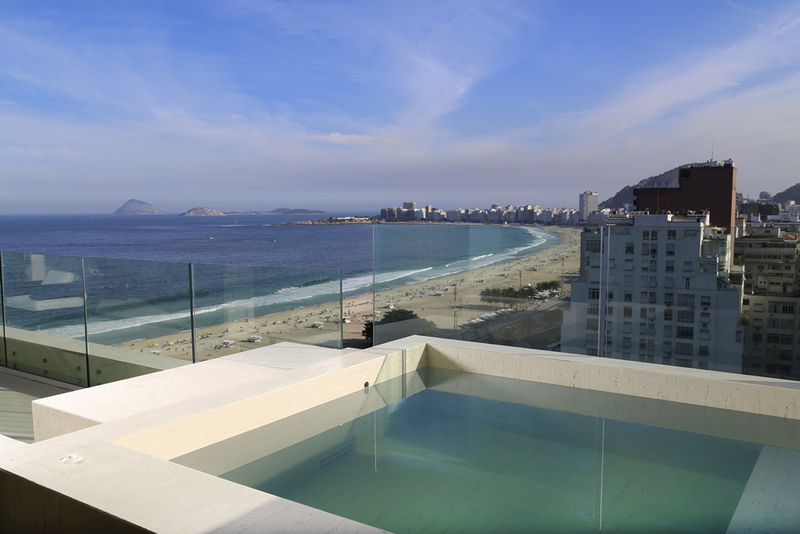 The stair case leads to the upper part of the penthouse where one accesses a huge living room with its bar, its open terrace and a top of the art jacuzzi in which you could enjoy a glass of champagne while admiring Copacabana's beach and the Christ Redeemer. 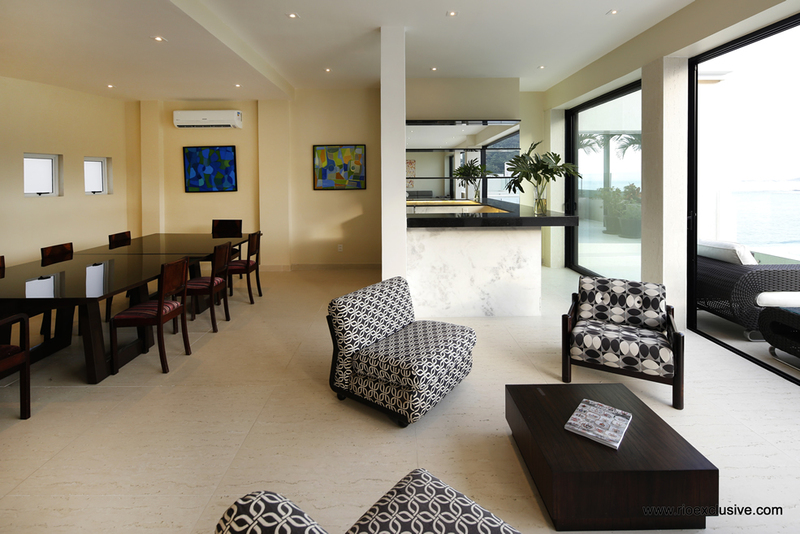 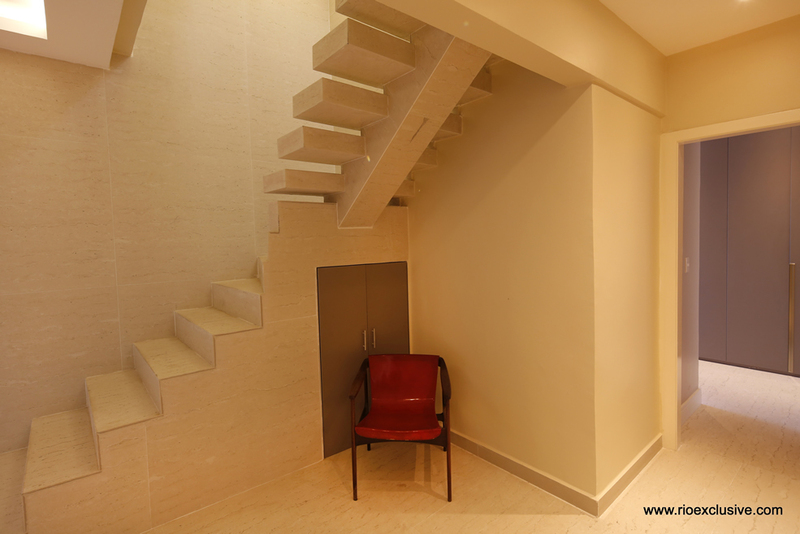 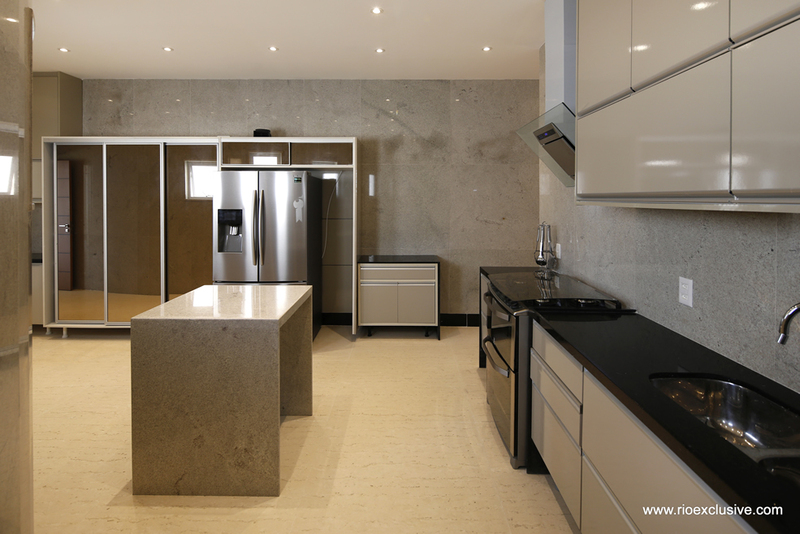 This second floor is circular, so leaving the living room will lead to a fully equipped kitchen thanks to which you will be able to entertain de most exquisite diner parties. 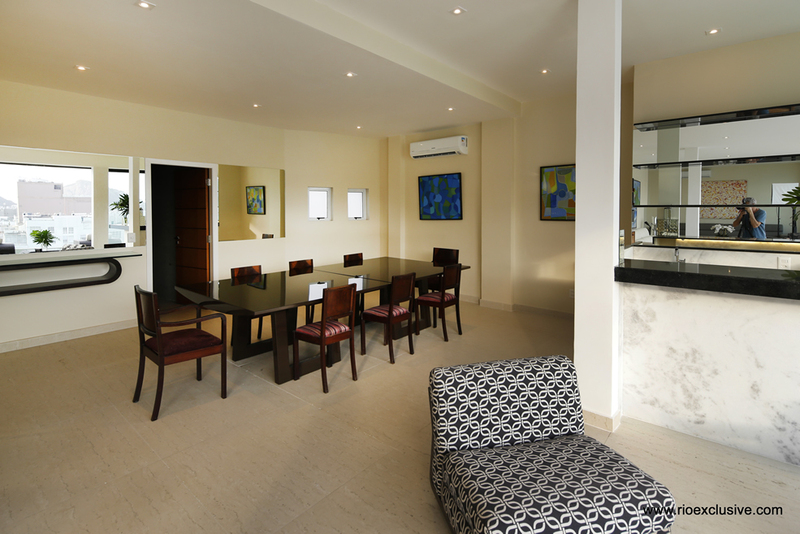 Following the kitchen come the rest of the suites, all with huge windows letting all the light come in. 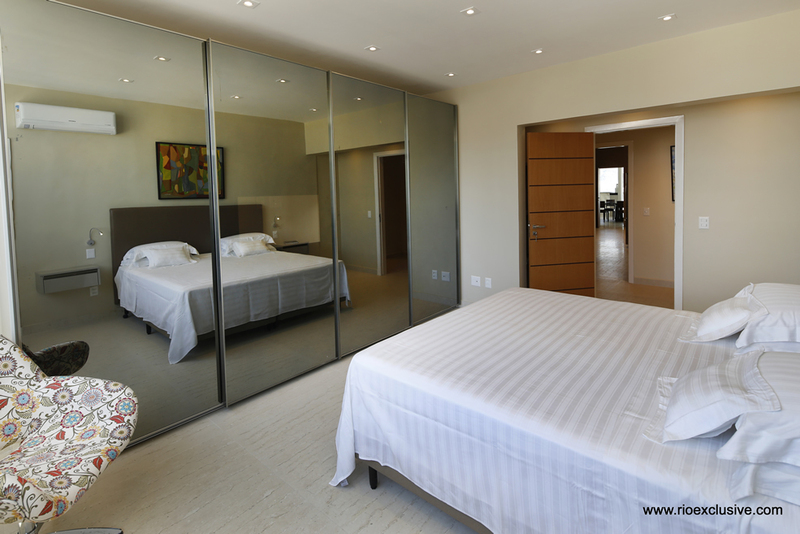 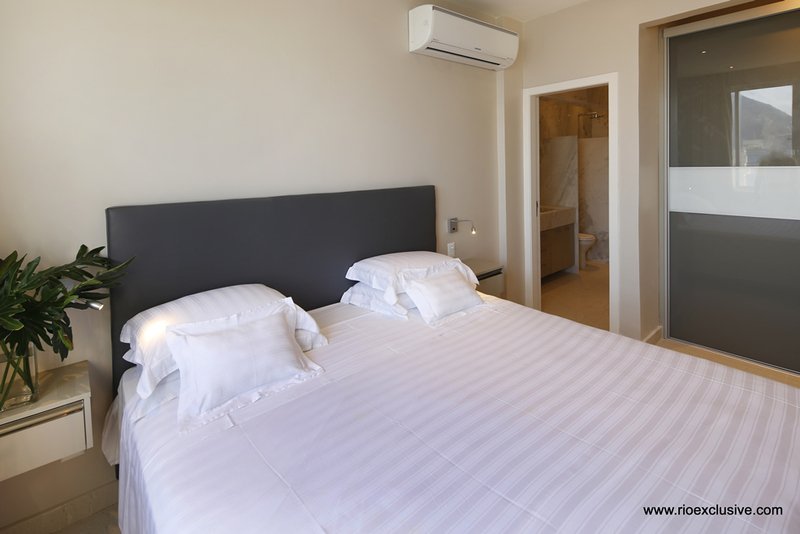 Each room has its king size bed, flat screen TV, modern bathroom and closet space for every body to enjoy comfortable and pleasant vacations.